The mornings and nights are cold but the days are sunny. Our bodies are no longer jet lagged, and we are settling back into a routine here in Central Asia. It is good to be home. This morning my husband has left for work, the call to prayer has sounded, and it is just me here with my computer and a warm bukhari (see picture below). Once again I am linking up with Emily at Chatting at the Sky with what I have learned this month. 1. Even though I actually love the Fall and Winter seasons, I also like to stay warm. In the states, we were spoiled with central heat. 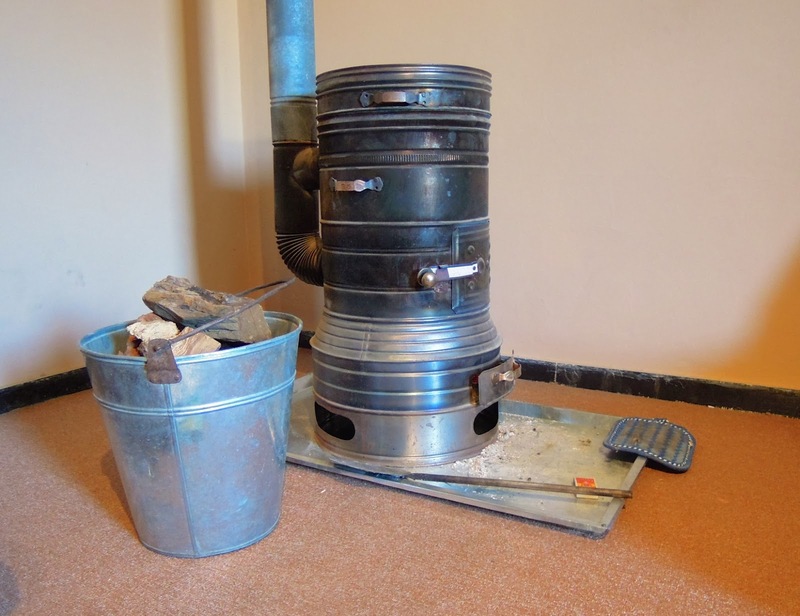 Even though it is February and starting to warm up, our house here in Central Asia was cold. No one had lived in it for two months. The bukhari's have been my friends. The kids and I have been doing school in the dining room heated by one of the heaters pictured above. I love the togetherness at least for now. 2. Having your plane diverted to another city can be a blessing. We learned in Dubai as we were getting our tickets for our last leg that my husband's visa said 2017 instead of 2014. After some debate, the airline let us fly but warned there could be problems when we landed. It was the middle of the night so all we could do was send a quick email to our team before boarding our plane. Due to weather, we were not able to land in the capitol, and our plane was diverted to another city. We were there for 5 hours on the plane. Most people went into the terminal, but we decided to stay on the plane and had the plane pretty much to ourselves. It also gave us a chance to borrow a phone and call ahead about our problem. Later that afternoon when we landed, we were met in customs by one of our national employee who helped us navigate the situation. Between a letter from the passport office and our employee's good relationship with immigration, my husband was not deported. 3. I am stronger than I think. Due to the situation in number two, my honey and I had to decide what we would do if he could not fly or get in to our country. We had lots of luggage. Did I say we had lots of luggage? Between the four of us, we had nine pieces plus our carry-ons. The thought of having to retrieve these, find a hotel and then check them in all again the next day was not at all appealing. So the plan was for the kids and I to go on without him if need be. This would not have been an option four years ago. I would have freaked out. We didn't have to use this option but it was good to know I could do it if I needed to. 4. Celebrating a birthday early can be a memorable experience. My friend's birthday is in March, but we wanted to celebrate before I left. Being in Texas, Mexican is always a good option. Upon seeing the gifts, the waiter asked if we were celebrating a birthday. I said, "yes" and pointed to my friend forgetting that it wasn't actually her real birthday. 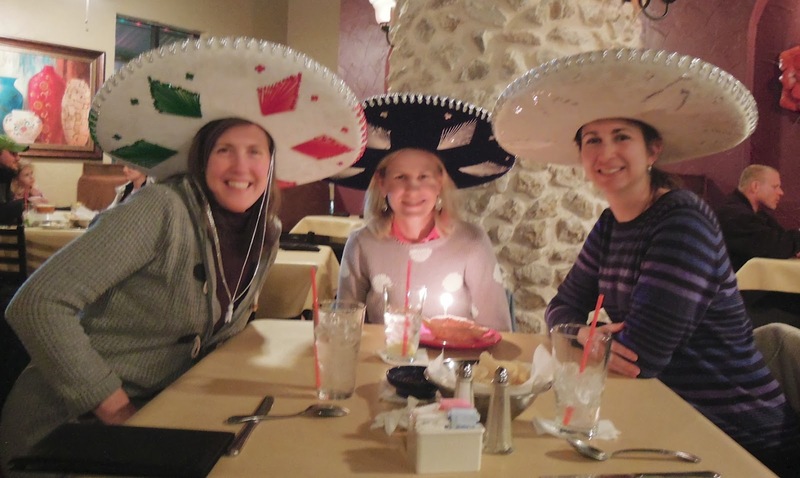 Well, real birthday or not, we were serenaded while we were wore sombreros and ate a delicious sopapilla. It was a fun last outing with these two gals. 5. Little things make life more fun. At a parenting seminar I attended, the speaker had a batman decal on his MAC. I thought it would be fun to get one for the kid's computer. We all ended up getting a decal. My honey got a tea cup. The kids decided on a Snoopy decal. 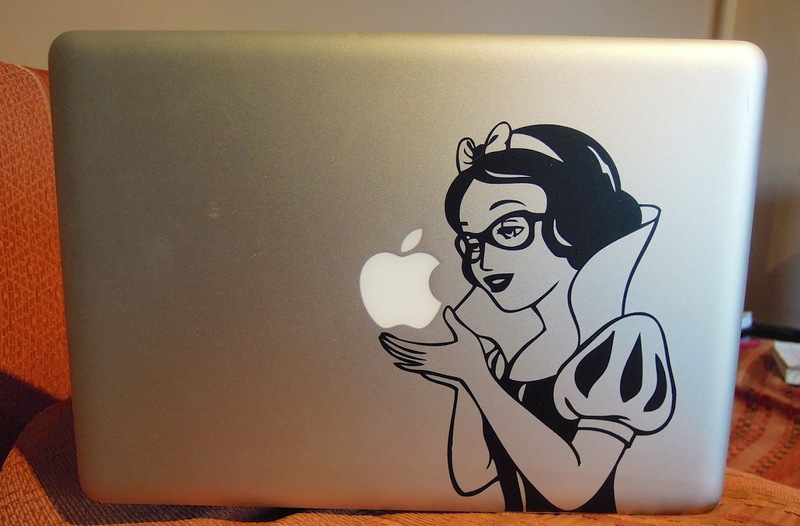 I chose Snow White. Besides being fun, it makes it easier to know whose computer it is without opening it up. We found them on Amazon. 6. 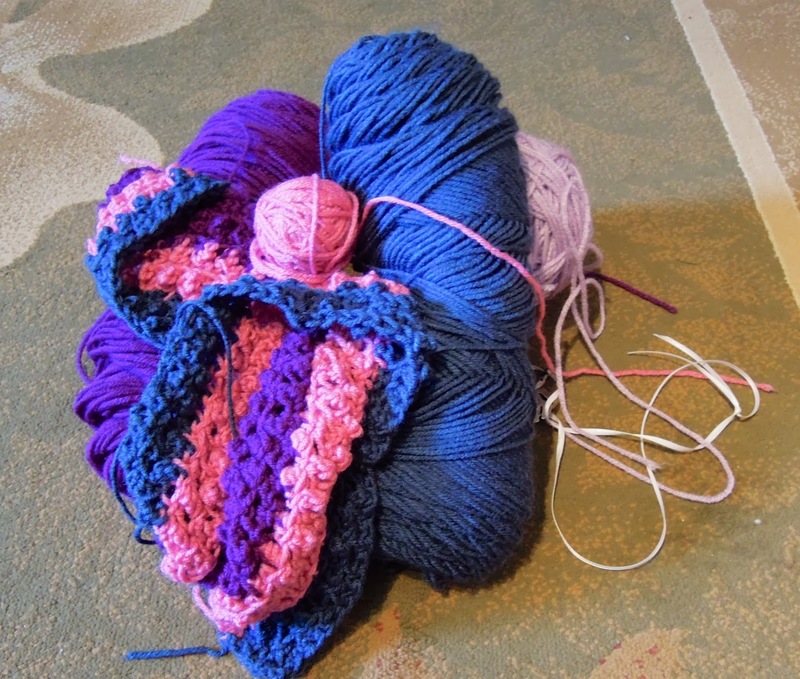 Having a creative outlet whether it be crocheting or cooking helps me mentally and emotionally. Above is my next crochet project. It is a baby blanket for a gal on our team. She had to leave early due to complications with her pregnancy. Crocheting this blanket reminds me to pray for her. 7. It is good to be back in Central Asia and to reconnect with old friends and begin making some new friends. 8. When you get up with your husband, you get a lot more accomplished and have more time to yourself. It also have many bonuses. I have a few minutes connecting with my honey before he leaves. I am also able to have my Godtime and exercise before the kids wake up. What things have you learned this month? I love your "I am stronger than I think" point - I wrote the SAME THING for my 10 things post. Wow - I loved reading your "adventure" and seeing how God provided for you every step of the way!